Physical, chemical, and synthetic virology work together to reprogram viruses as controllable nanodevices. Viruses are Nature’s delivery vehicles. Millions of years of evolution have molded them into remarkable machines capable of performing a monumental task vital to their survival: the delivery of genetic material into other organisms. Viruses are shells made up of proteins and sometimes lipids that carry genetic information into cells. 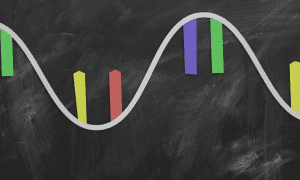 The type of genetic material (DNA or RNA), shape, size, and the process of delivery differ between different virus families. Current state-of-the-art research uses bio-mined viruses as blueprints for the creation of new materials and therapeutics that can benefit humanity. For example, the field of gene therapy harnesses the efficient ability of viruses to infect host cells and turns them into delivery vehicles for the genetic treatment of people suffering from debilitating diseases and disorders. The US Food and Drug Administration recently approved Luxturna—a gene therapy drug that uses a benign virus for the treatment of hereditary blindness in children. 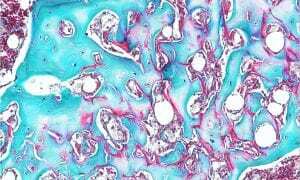 This is the first gene therapy product for a genetic disease approved for clinical use in the US, and has opened the gates for approval of other virus-based therapies for treatment of genetic diseases, including hemophilia, Duchenne muscular dystrophy, and cystic fibrosis. In order to continue advances in such applied areas, more knowledge about how viruses work and how to control their functions is needed. Major advances in three complementary subfields—physical, chemical, and synthetic virology—are reviewed in WIREs Nanomedicine and Nanobiotechnology. Physical virology seeks to understand the structure and function of virus capsids from a perspective based on theoretical and experimental physics. Chemical virology approaches the virus capsid as a nanoscale entity that can be modified through chemically addressable handles. 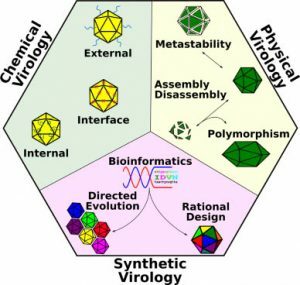 Synthetic virology thinks about the virus as a programmable nanodevice, with inputs and outputs that can be manipulated and controlled for user-defined applications. The ideas and experimental approaches pursued in the three above-mentioned areas clearly cross-pollinate and benefit the efforts ongoing in each. Continued research in these overlapping subfields of virology will contribute greatly to the advancement of the next generation of biological therapies.